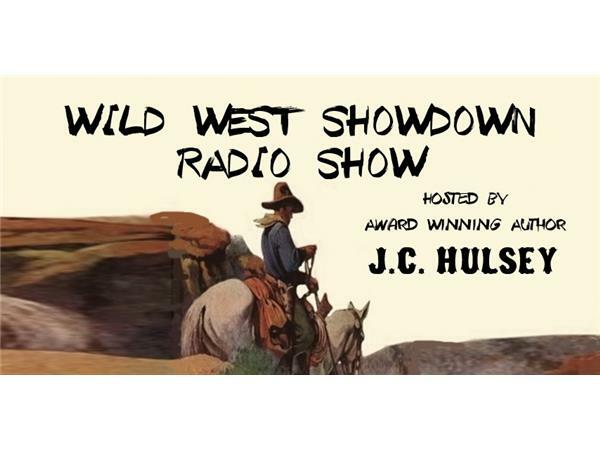 If you liked this show, you should follow Wild West Showdown with J-C- Hulsey. J.C. Hulsey has lived in Midlothian, Texas over thirty years. He's a father, grandfather, and great-grandfather. He has been married for 59 years. He enjoys Western movies and TV Shows, (especially the older ones) and reading about Mail-Order Brides. He is also the owner of six cats (all stray cats, showed up on the back porch) and one dog (rescue dog) He worked for 33 years at Bell Helicopter. He served in the USAF for five years, and the Air National Guard for four years. He started writing songs in his early twenties. He recorded a couple of songs in the late 1960s. He started writing poetry in the 1970s to share with others. He self-published them on Amazon in 2013. He still felt the need to write something different. He tried writing a book in the 1970s, but it was never finished. In 2014, he felt the urge to write a Western novel. However, he needed something different than what was on the market. What about a young Christian Gunfighter? That book turned into a series of seven books that won First Place for Best Westen Series in 2015 from Texas Association of Authors.